What a day Year 3 have had! Dressed in WW2 costume, we measured and made cakes from rationed ingredients, tried outside games which children would've played during the war and learnt some war time songs. The children had a go at deciphering morse code too. In the afternoon, we were lucky enough to have a visit from Mrs Barrett, who was evacuated as a child during the war. She shared lots of photos and memories, answered questions and taught us a new game! Our Mothers' Day service at St John's went as smoothy as clockwork thanks to our Toucans parent volunteers. The whole school was respectful, resilient and reciprocal when they walked to school with their learning partners and kept themselves safe by avoiding the hazards that Mr Nicholls spoke to us about in assembly. Rion was chosen to light the candle because of his respectful sitting and Toucans sang Meghan Trainor's song - Mom - excellently. Both made us all very proud. Well done Toucans! What better thing to do on a lovely sunny day than do maths outside? Today we learned about right angle turns and how many right angle turns in a 1/4, 1/2 and 3/4 turn. We practised turning right/left, clockwise/anticlockwise by listening to instructions. In groups, we used PE equipment and the playground markings to make up our own direction games. Then, we guided our partner to an object using all of the direction language that we'd learned. Finally, we challenged ourselves further by making the routes more complex and putting obstacles (sometimes human!) in the way. We had lots of fun and got much better at giving accurate directions. Our writing focus at the moment is instructions. We gave Mrs Tatem spoken instructions to make a jam sandwich. It went a bit wrong! We quickly discovered that instructions need to be specific and in order. In groups, we then all wrote our own instructions. These were so much better and even included ideas such as rating the sandwich at the end. Such original ideas and excellent collaboration within each group! On Friday we visited Milestones Museum in Basingstoke. When we arrived at the museum, we learnt about rations and which types of foods were more likely to be available. Some of them surprised us! We looked at some artefacts from WW2 and found out a little more about what it was like to live during that time. In the afternoon, we looked around the museum, which is set out as lots of streets with shops and buildings from different eras. One of the favourite places was the 1940s sweet shop, where the children had the chance to buy old fashioned sweets with their ration cards, which was very exciting. Toucans have been working hard practising the days in the 12 months of the year using the 'knuckle' (hills and valleys) method as well as singing along to days of the month songs. 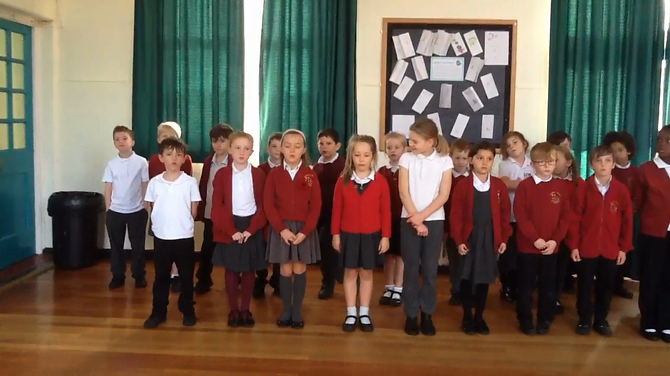 I'm delighted to say that, after this practice, the following children have now also achieved their Spring 1 durations of time fluency: Frankie, Caleb, Layla, Seren, Willow, Noah, Sophie, Finley, Luke M, Macie, Alister, Shy, Ayesha, Lanna, Ryan, Kai. That's tremendous progress - well done everyone! Certificates and picture to follow on Friday - watch this space! Well done to Ryan, Finley and Seren who have achieved their Topaz certificates for knowing their 2, 5 and 10 times tables, including division facts. Also to Noah and Michael - the first Toucans to achieve their Bronze certificate for also knowing their 4, 6 and 8 times tables. Amazing mental maths! We've been busy learning about durations of time during Spring 1. Riley, Michael and Richie are now fully fluent and have received their certificates. Lots of Toucans just needed to revise days of the month, but we'll be checking these again at the start of Spring 2. Keep up the practice at home! This week we were lucky enough to have some Chinese students with us for the week. We saw fan-dancing and a dragon dance in assembly. The fan made us jump! Also, we had an art class where a Chinese lady showed us how to make beautiful cherry blossom pictures. We've taken them home, but these pictures show how hard we worked to make them - lots of concentration and resilience! Today The Bottle Top Collector (Finley) had a tough decision to make. Should he keep The Lost Thing or get rid of it? Half of the class thought of reasons for each choice. We then had a ’conscience alley’ to all explain our reasons. Finally, we had a ’silent debate’ to decide on each table what we thought. We were very respectful and reciprocal and gave The Bottletop Collector lots of interesting choices and explanations. What did your child decide? Why? In our last science lesson, we tested materials to see which would be the best to use to make a reflective band so that we could be safely seen at night. 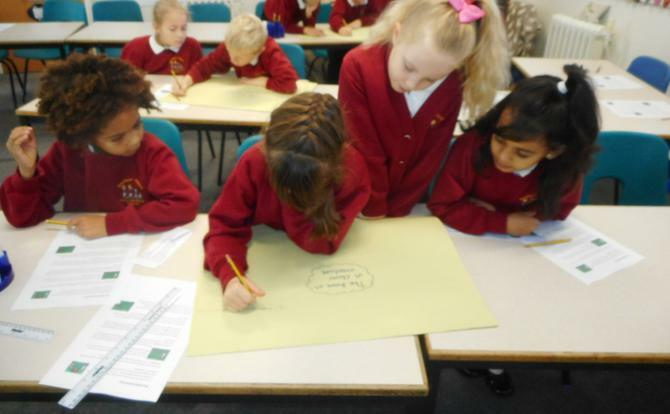 We chose materials that were light-coloured, shiny and smooth. Well done to kai, Riley and Michael for achieving their 2, 5 and 10 x table fluency. Last Thursday we visited Elson library. We had two stories and played book bingo. We had quite a few full houses and most of us getting a line of 4. We were very respectful when Sarah read us stories and we were reciprocal, working with our partners to find books that met the book bingo criteria. We'll be visiting again in January, which we'll all look forward to. As you can see, we've had some more amazing topic homework this week: Michael's weapons, Caleb's house and Layla's graveyard. 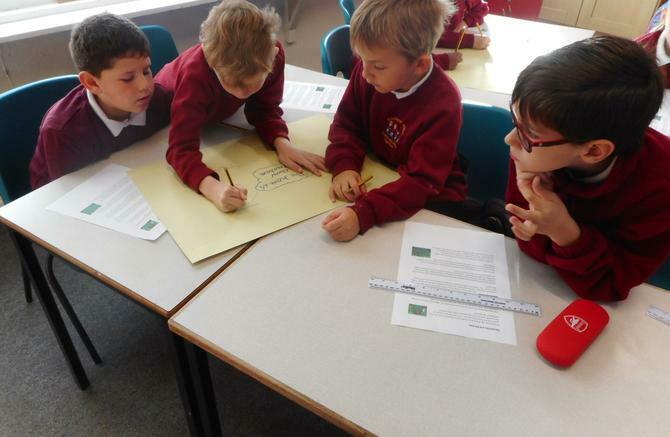 All showed great understanding of our Stone Age topic. On the theme of fending for yourself, Luke M and his mum made banana loaf which we all enjoyed. Comments included: "It was delicious. "; "I loved it and I wanted more." and "It's my favourite food ever." Here's details of which maths fluency target we'll be focussing on each term. Fab fluency this week for Kai and Noah who both passed their 3 x fluency challenge. Well done to Michael and Riley who were the first Toucans to get 40/40 in their 3 x table 5 minute frenzy last Friday. This means that they have achieved their fluency focus for this term and earned their Sapphire times table award. Fab fluency! However, there are quite a few others snapping at their heels, so keep watching this webpage for weekly updates. Today we ate crackers and jam that Willow had brought in. She had foraged the berries and made the jam with her mum. It looks like foraging in the Stone, Bronze and Iron Age meant that you still had yummy food even though there were no shops or cafes! Today Year 3 were lucky to have Iron Age Matt join us to talk to us about the Iron Age. We got to hold Bronze and Iron Age artefacts to see how they changed over time. Then, Matt spoke to us about Iron Age life and clothing. Maybe you could ask your child what Iron Age trousers were called? Also, how was fire started? What two metals is copper made from? Next, we got to hold slingshots, javelins, spears and shields as well as wear torcs. I wonder if your child could tell you which photo shows a warrior, champion and chief and how they know? In the afternoon, we wrote thank you letters which we will copy into best today and send. 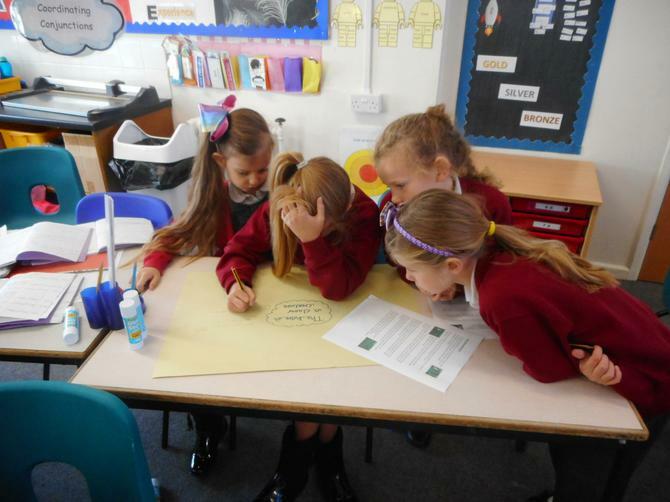 From the photos you can see how engaged the children were and how much they learnt. Many thanks to Matt Russell (Iron Age Experience online) for coming to talk to us. Before half term, we were reciprocal in maths and worked with buddies to solve challenging addition and subtraction problems. 01.11.18: Today we visited Elson library and had fun doing an alphabetical book title hunt. Sara also read us two stories - one about the Stone Age and one about bears. We are looking forward to our next visit in December when the library will be refurbished. Today we read the fable of ‘The Tortoise and The Hare’ and had a ‘silent debate’ about the question ‘The hare was a clever character.’ We were very quiet and had lots of interesting viewpoints. Well done to Richie for achieving his 2x table fluency. Lots of amazing progress this week from everyone too. Keep learning them in order, out of order and division facts! In Literacy, Toucans have created their own dragons today using an online site (dolldivine.com). We had some technical problems, but Toucans were resilient and reciprocal and their creations are amazing!! In History, Toucans and Kingfishers went outside to experience 'Stone Age Survival' and decide what they would need to do first. Some found water, others built shelter or fire and others foraged. Comments included: "Stone Age life was harder than I expected" and "You had to work as a team to survive." Toucans have been making rocks and soils in outdoor science learning. They learned about what is the same and different, at the same time as having lots of fun! Try the recipe at home! The Toucans had a great time at Milestone's Museum where they found out about what life was like during WWII.